Amsterdam, Netherlands, Jan 22, 2019 / 04:39 pm (CNA/EWTN News).- Legalized euthanasia and assisted suicide have the longest history in the Netherlands: 17 years ago, the two practices became legal, under what were supposed to be very limited circumstances, available only to those undergoing “unbearable” suffering with “no reasonable alternatives” for relief. But time has brought a loosening of definitions and a level of comfortability with the practices, increasingly extending their availability far beyond patients with terminal conditions and extreme pain. In a longform piece published by the Guardian, Christopher de Bellaigue examines the increased popularity of the practices, and the expanding availability of euthanasia and assisted suicide to include the young and the mentally (though not physically) ill. He also notes that the increase in demand has some doctors and ethicists balking at the practice, and questioning whether the Netherlands has headed down the oft-referenced “slippery slope” of having gone too far in letting people choose when to die. Those opposed to assisted suicide and euthanasia often do so out of concern for the possibility of coercion, or the impossibility of predicting whether someone’s condition or mental state might improve, with additional care. Many disability groups actively campaign against it, arguing that it discriminates against the disabled, making insurance companies more likely to pay for their death than their ongoing care. Ethicist Berna Van Baarsen shares similar concerns. Sometimes patients write advance directives, requesting assisted suicide once they deteriorate past a certain point, while they are still fully physically and mentally competent. But these patients may adjust to their new circumstances and change their mind, but be unable to communicate, making it nearly impossible to know whether their original request still stands. Van Baarsen resigned from her position on a euthanasia case review board last year, citing her qualms with these types of cases, which are common. “It is fundamentally impossible to establish that the patient is suffering unbearably, because he can no longer explain it,” she told the Dutch daily Trouw. She has also recently lamented that “legal arguments” often weigh more heavily on committees that approve people’s requests for euthanasia, “while the moral question of whether in certain cases good is done by killing, threatens to get snowed under,” the Guardian reported. “The underlying problem with the advance directives is that they imply the subordination of an irrational human being to their rational former self, essentially splitting a single person into two mutually opposed ones. Many doctors, having watched patients adapt to circumstances they had once expected to find intolerable, doubt whether anyone can accurately predict what they will want after their condition worsens,” de Bellaigue wrote. De Bellaigue also detailed another disturbing case, in which a doctor went on vacation at a time when one of her patients had requested euthanasia, but she had declined his case, at least for the time. 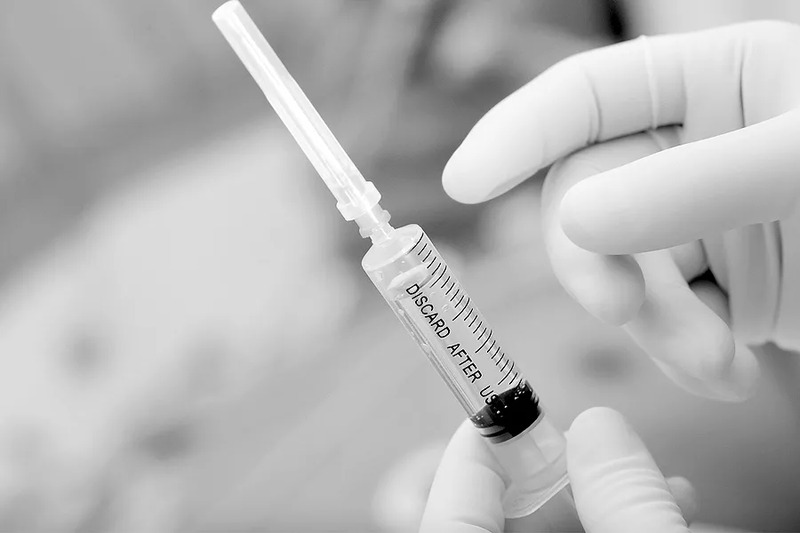 When she came back, another doctor had euthanised her patient. “…guilt was a factor; if she hadn’t gone away, would her patient still be alive? Now she was making plans to leave the practice, but hadn’t yet made an announcement for fear of unsettling her other patients. ‘How can I stay here?’ she said. ‘I am a doctor and yet I can’t guarantee the safety of my most vulnerable patients,’” de Ballaige wrote. Currently, a doctor is being investigated in the first case of euthanasia malpractice in the Netherlands. The case was the kind Van Baarsen was wary about – the woman in the case had signed an advance directive, requesting euthanasia if she was still mentally competent at the time it was carried out. After getting dementia and being confined to a nursing home, the woman was secretly slipped a sedative by the doctor in question and then given a lethal injection. While the woman fought the doctor, her family held her down. Prosecutors say they are investigating the doctor for administering euthanasia to a woman who had voiced different desires about euthanasia at different times, and for euthanizing her without checking to be sure it was her wish at the time. Two other cases investigating possible euthanasia malpractice have been dropped. De Ballaige wrote that these cases may be the cause of a 9 percent drop in euthanasia and assisted suicide that has been reported for the first nine months of 2018. Boer told the Guardian that when he speaks to lawmakers from other countries considering legalized euthanasia and assisted suicide, he points to the Netherlands as a warning. “Look closely at the Netherlands because this is where your country may be 20 years from now,” he said. Euthanasia and assisted suicide are legal only in a handful of states in the U.S., though there has been a recent push to legalize the practice in more places, in part due to the high-profile case of Brittany Maynard, a 29 year-old with terminal cancer who ended her life via assisted suicide in 2014. Compassion and Choices, which advocates for legalized euthanasia and assisted suicide, helped publicize her death. “Everyone is responsible for his life before God who has given it to him. It is God who remains the sovereign Master of life. We are obliged to accept life gratefully and preserve it for his honor and the salvation of our souls. We are stewards, not owners, of the life God has entrusted to us. It is not ours to dispose of,” it adds. “It’s all just a blessing, everything’s been turning totally different than the way it was before, everything,” Medina said. DHM is an organization working to provide opportunities to serve the homeless as both “equals and friends.” DHM offers the pilgrimage as a way to encourage those who have made steps to change their lives. This year’s pilgrimage lasted from Sept. 9-14 and consisted of Medina, trip organizer Tanya Cangelosi, and chaperone Christine Logan. The pilgrimage was organized with the help of the Catholic Travel Center (CTC), who payed for their hotel, limo transportation service to the airport, and Medina’s birthday dinner while in Rome. The CTC also took care of their flights after a delay left them stranded at the airport. Until last year, Medina, 38, had been living on the streets and was struggling with alcoholism. She grew up in an alcoholic family, and from a young age she was often responsible for taking care of her parents and cleaning them up at night. Medina left home at the age of 15, and went to stay with her older sister, who was also an alcoholic. She started hanging out with gangs and eventually entered an abusive relationship. She left the man after having two children with him by the age of 19. After entering another long-term relationship and having her third child, Medina began to drink heavily herself, but eventually broke up with the man and entered rehab. When she got out, her ex-boyfriend offered to pay rent on their apartment so she and her kids could stay together while she got on her feet. However, the man went back on his promise, leaving Medina on the streets, while her kids went to live with her mother. Although she tried to stay sober, Medina started drinking again when the camp she made with a friend was raided and all of their things taken. When they moved camps, they would often have to put their food and belongings in the trees, so rats and mice didn’t get into them. Throughout her time on the streets Medina was beaten several times, once until she was unrecognizable, and she was also raped. Last year she began having severe problems with her feet and could barely walk. With no diagnosis, she bandaged her feet and quit wearing shoes. After awhile they began to heal, and it was around that time that Medina and her boyfriend, Christopher, decided to make a change and get off the streets. In her comments to CNA, Medina said the turning point for her was Christopher: “ I met a really good guy out there, and we just wanted a better life for ourselves and to get my family back together,” she said. After Medina’s visit to Rome this year, Christopher has been selected to go on next year’s pilgrimage. In comments to CNA, trip organizer Tanya Cangelosi said she chose Medina for this year’s trip because she was an answer to a prayer on Easter morning last year. Before driving to the Knights of Columbus hall where she kept all of the DHM outreach materials, Cangelosi said a prayer, and told the Lord that if he wanted her to take someone to Rome, he needed to put the person in her path that day, since time was getting short to make the arrangements. Medina said that the main highlights of the Rome visit were seeing the Sistine Chapel and the Leonardo Museum, which showcases the inventions of Leonardo Da Vinci, who despite his widespread fame for painting, was also a prolific inventor. “The drivers are a little bit crazy, and the scooters are nuts! But just to see…the people that actually live here, they’ve been good,” she said, explaining that Romans she met were friendly and welcoming. “There was one little boy who got to meet him at the end, down near where we were sitting, and just the way he interacted with him, he didn’t seem any different,” she said, noting that Pope Francis even ruffled the boy’s hair while talking and taking pictures with the family. “He treated them all the same, as if he were one of them, so to me that’s important,” she said, and voiced admiration for the fact that the Pope would hold the audience despite the fact that he had just returned from a six-day visit to Colombia the day before. She recalled how, after her birthday dinner, the group went to Rome’s Termini train station near their hotel and handed out their leftovers to the homeless sleeping outside. “I’ve been there before, so sometimes in the evening it was great to get a white box,” she said, referring to the typically white takeaway boxes given to customers at restaurants. 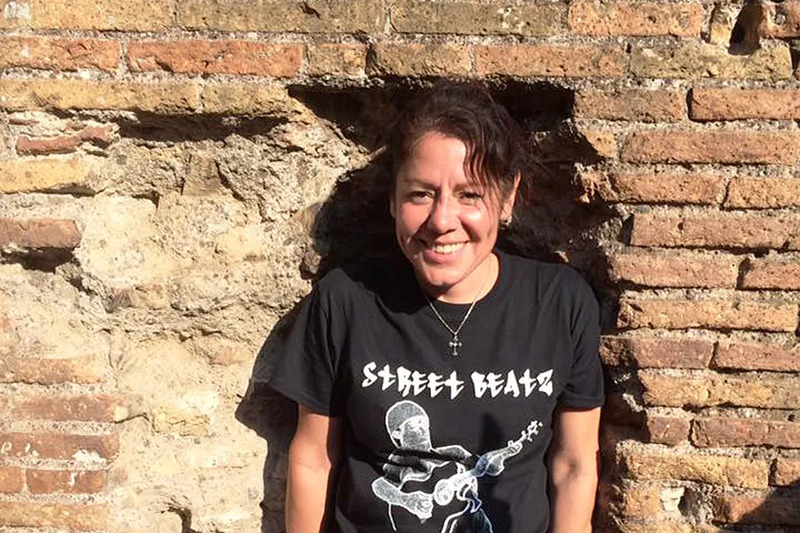 As far as previous participants in the Rome pilgrimage, Cangelosi said the first, Clarissa, is off the streets, has a three bedroom apartment, is holding down a job and has her two children living with her. The second, Derrick, is now in an apartment and works part-time as a barista, and the third, Shyla, is now living in New York and working in customer service at a hotel. Amatrice, Italy, Mar 10, 2017 / 06:16 am (CNA/EWTN News).- As Benedictine monks in Norcia, Italy rebuild their monastery from the rubble caused by devastating earthquakes last year, they do so in the spirit of their founder, Saint Benedict.